Matthew Lee founded FASTech Inc. in 1990. He currently serves as President and Chief Executive Officer of the company. Mr. Lee has guided the growth of FASTech from its inception to its current position as a well regarded business serving the Baltimore-Washington corridor. He has overseen the Company’s growth in many technical and administrative areas and has enabled FASTech, Inc. to build a strong reputation by providing quality Information Technology (IT) products and services to Federal, State and Local Agencies, and commercial clients. Under Mr. Lee’s leadership, FASTech now offers a wide range of services including custom application and database design, network engineering and desktop support, web technologies, digital audiovisual technologies, project management, facilities management, and cyber security. A strong technical leader, Mr. He managed custom hybrid products for fuses in the Patriot Missile System used in Desert Storm. 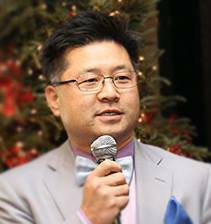 He assisted the Science Advisor to USFK/Eighth US Army in the planning, conductance, and preparation of test documentation for the M1 APU System and the Acoustical Detection System Mr. Lee’s vision and collaborative business style have made him stand out among his peers and business associates. In 2015, at the 42nd Anniversary of Commerce and Industry Day, Mr. Lee was awarded with the Korean’s prime minister’s citation. Again, in 2015, Mr. Lee was selected for the Small Business Administration (SBA), 2015 Emerging Leaders Program. In 2006, 2008 and 2010, Mr. Lee was honored with a Top 100 MBE Award recognizing those minority entrepreneurs that fuel the nation’s economy through their innovation, sacrifices, and dedication. In 2004 thru 2008, he also received a Maryland Governor’s Citation. The KOTRA (Korea Trade-Investment Promotion Agency) honored Mr. Lee in 2004 and 2010 with the Distinguished Award for exemplary promotion of trade and investment between Korean corporations and U.S. customers. In 1990 and 1991, Mr. Lee was awarded the AMC-FAST Junior Engineering Award from Army Research Laboratory. Adding to Mr. Lee’s already vast accomplishments is his commitment to helping small businesses market to the U.S. government. For the past four years, Mr. Lee has been the President of KoBE Government Contracting Alliance; a non-profit organization with a diversity partner’s network, which shares combined resources with more than two hundred minority owned and operated businesses spread throughout the U.S. KoBE, is committed to advancing economic empowerment, sharing knowledge, and assisting other diversity small businesses. Recently, Mr. Lee serviced on Larry Hogan’s (Governor, State of Maryland) Governor’s transition team and was appointed for a four-year term on TEDCO Board of Directors. TEDCO, was created by the Maryland State Legislature in 1998 to facilitate the transfer and commercialization of technology from Maryland’s research universities and federal labs into the marketplace and to assist in the creation and growth of technology-based businesses in all regions of the State. Finally, Mr. Lee is President of the Maryland Korea Development Center (MKDC). Mr. Lee earned a Bachelor of Science, Electrical Engineering in 1988 from Virginia Polytechnical Institute and a Master of Science Electrical Engineering degree from Johns Hopkins University in 1994. Since then, to remain current in his field, he attends technical and executive training on a continual basis.